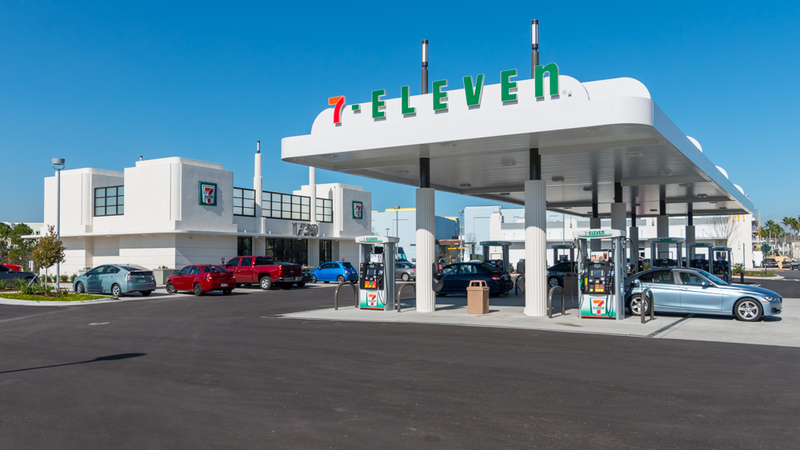 Creighton Construction & Development has completed construction on a new 7-Eleven convenience store with gas station in Celebration, Florida. Located at 1730 Celebration Blvd., the 7-Eleven is positioned at Exit 62 along I-4, the primary entryway to Celebration, and near the Mickey Mouse Power Pole landmark. Creighton provided ground-up construction services for a new 3,000-square-foot convenience store with eight fuel pumps and 16 fueling positions. Creighton’s team for this project was led by project manager Alex Scalzo and superintendent Raphael Rodrigues.